Analyze media files so that they have the same volume. Is there a better alternative to Sound Normalizer? Is Sound Normalizer really the best app in Music category? Will Sound Normalizer work good on macOS 10.13.4? 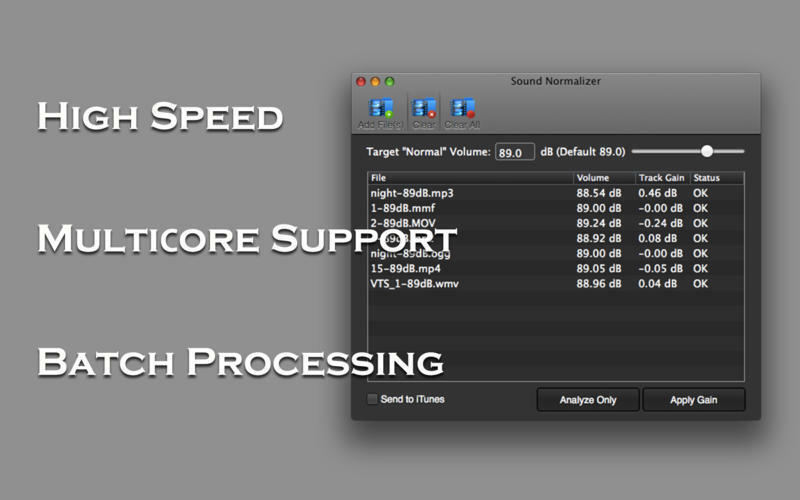 Sound Normalizer analyzes and adjusts media files so that they have the same volume. support all popular video formats and audio formats. 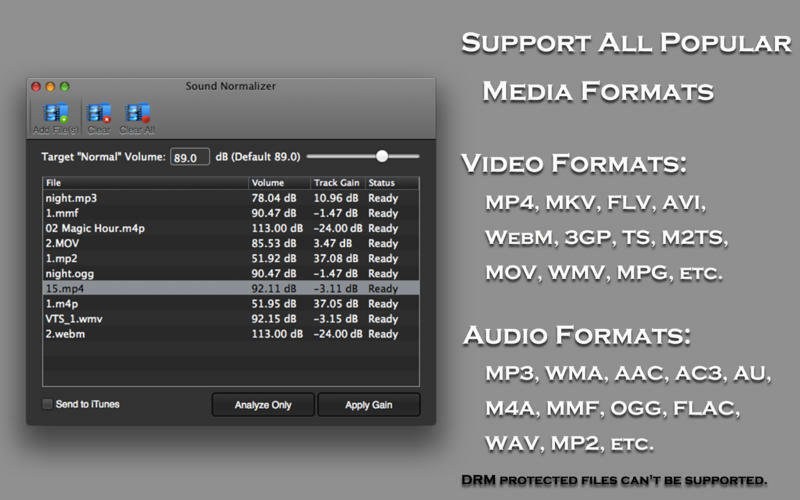 This is useful when you have a lot of video/audio at different volumes, you can use this tool to make everything the same volume so that you don't need to adjust the volume on your media player when listening/watching your media files. Video formats such as MP4, MKV, FLV, AVI, RMVB, WebM, 3GP, TS, M2TS, MTS, MOV, WMV, MPG, DivX, etc. Sound Normalizer needs a review. Be the first to review this app and get the discussion started! Sound Normalizer needs a rating. Be the first to rate this app and get the discussion started! Audio formats such as MP3, WMA, AAC, AC3, AU, M4A, MMF, OGG, FLAC, WAV, MP2, etc. Keep album cover for FLAC, M4A, MP3 format. Speed up for video normalize. Keep the file structure in the output folder. 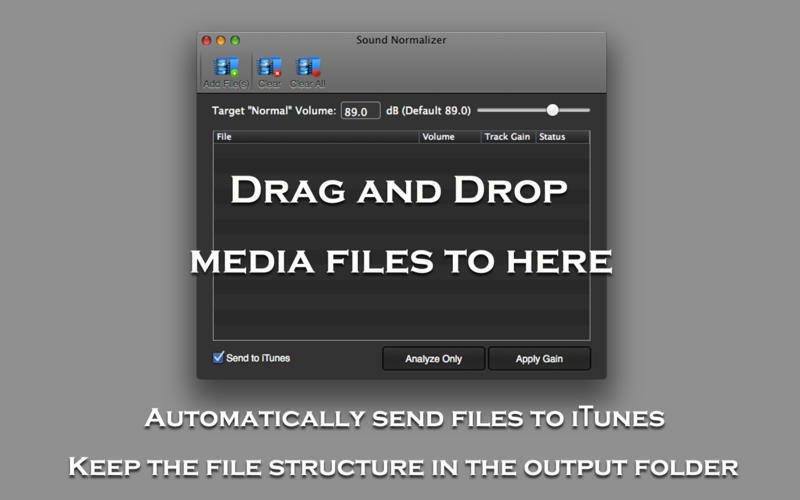 Automatically send files to iTunes.